From Geometry Of Quantum Theory, Volume I to The Political Implications Of Quantum Physics, we can help you find the quantum physics books you are looking for. As the world's largest independent marketplace for new, used and rare books, you always get the best in service and value when you buy from Biblio.com, and all of your purchases are backed by our return guarantee. London: Little, Brown. 1992. Large octavo size [16x24cm approx]. Very Good condition in Very Good Dustjacket. DJ protected in our purpose-made plastic sleeve. A nice copy. Gift inscription to front free endpaper. Illustrated with Black and White Photographs. 532 pages A brilliant inter-weaving of Richard Feynman's colourful life and a detailed and accessible account of his theories and experiments . 1st Edition. Hardback. Rider & Company, London, 1954. First Edition. Hardcover. Good/No Dust Jacket. Illustrator: Photographic. Indexed, with frontispiece photographs, and 13 other illustrations in black-and-white (including 3 of Houdini). Ownership detail on the front free end page, foxing to the top edge of the text block, foxing to the cloth on the spine, and across the top edges of the boards. Internally clean, sound binding. "Unlike many sceptics, the author devoted the best part of his long life to his search for firm evidence of the reality of psychic phenomena and of survival after death. The fact that he failed to find it, it's, of course, no proof against. What is important is his exposure of those who, with no genuine interest in spiritualism, and having neither faith nor moral scruple prate heartlessly on people from whom death have taken their loved ones." Front fold over blurb Size: 8vo - over 7¾" - 9¾" tall. 396 pages. Please refer to accompanying picture (s). Illustrator: Photographic. Quantity Available: 1. Category: New Age & Alternative; Quantum Theory; Psychic Studies; Psychology & Psychiatry. Inventory No: 0237062. .
London: Quercus. 2007. Octavo Size [approx 15.5 x 22.8cm]. Very Good condition in Very Good Dustjacket. DJ protected in our purpose-made plastic sleeve. A nice copy. Black & white illustrations. 208 pages This is the perfect introduction to modern physics for the non-specialist, from a writer with a real gift for making its most complex and challenging concepts readily comprehensible to the layperson. . 1st Edition. Hardback. 1935. First edition. Schrödinger's CatSchrödinger, Erwin (1887-1961). Die gegenwärtige Situation in der Quantenmechanik. In Die Naturwissenschaften 23 (1935): 807-12; 823-28; 844-49. Whole volume. xix, , 870, 12pp. Berlin: Julius Springer, 1935. 264 x 192 mm. Quarter cloth ca. 1935, hand-lettered paper spine label, light wear to corners. 4 library stamps on general title and 1 on first leaves of some numbers., but otherwise a very good copy. First Edition, journal issue. Schrödinger's paper contains the famous thought experiment now known as "Schrödinger's Cat," illustrating a fundamental problem in the "Copenhagen interpretation" of quantum mechanics put forth by Niels Bohr and Werner Heisenberg. In this interpretation, a quantum superposition-the combination of all possible states of a system, such as the possible positions of a subatomic particle-collapses into a definite state only at the exact moment of quantum measurement; prior to measurement, all states exist within a certain range of probability. Einstein had published a rebuttal to the Copenhagen interpretation in his famous "EPR" paper of 1935, in which he argued that the quantum-mechanical description of physical reality, as it stood, was incomplete. Inspired by Einstein's line of reasoning, Schrödinger continued the discussion in his "Die gegenwärtige Situation in der Quantenmechanik," pointing out the absurdity of applying quantum mechanics to visible and tangible objects. In the fifth section of his paper (p. 812), he set forth the "quite burlesque" case of a cat "penned up in a steel chamber, along with the following diabolical apparatus (which must be secured against direct interference by the cat): in a Geiger counter there is a tiny bit of radioactive substance, so small, that perhaps in the course of the hour one of the atoms decays, but also, with equal probability, perhaps none; if it happens, the counter tube discharges and through a relay releases a hammer which shatters a small flask of hydrocyanic acid. If one has left this entire system to itself for an hour, one would say that the cat still lives if meanwhile no atom has decayed. The psi-function of the entire system would express this by having in it the living and dead cat (pardon the expression) mixed or smeared out in equal parts. "It is typical of these cases that an indeterminacy originally restricted to the atomic domain becomes transformed into macroscopic indeterminacy, which can then be resolved by direct observation. That prevents us from so naively accepting as valid a "blurred model" for representing reality. In itself it would not embody anything unclear or contradictory. There is a difference between a shaky or out-of-focus photograph and a snapshot of clouds and fog banks" (Schrödinger, "The present situation in quantum mechanics," translated by John D. Trimmer, Proceedings of the American Philosophical Society 124, 323-38). This conclusion sets forth what has been called the principle of state distinction: "states of a macroscopic system which could be told apart by a macroscopic observation are distinct from each other whether observed or not" (Moore, p. 308). Schrödinger's paper represents "his definitive statement about the theory that he and Heisenberg had discovered" (Moore, p. 307). Moore, Schrödinger: Life and Thought, pp. 306-9. Text is clean & unmarked; tanned with age. Large, superficial crease of upper corner front cover & first 18 pp. Sound binding. Moderate shelf/edge wear with tanning/sun-toning of spine. Slight rubbing of cover corners. 1921. First edition. Stern, Otto (1888-1969). et al. (1) Ein Weg zur experimentellen Prüfung der Richtungsquantelung im Magnetfeld. In Zeitschrift fur Physik 7 (1921): 249-253. (2) (with Walter Gerlach [1889-1979]). Der experimentelle Nachweis des magnetischen Moments des Silberatoms. In ibid. 8 (1921): 110-111. Together 2 whole volumes. [iii]-vi, 414; iv, 419pp. Braunschweig: Fried. Vieweg & Sohn; Berlin: Julius Springer, 1921-22. 224 x 149 mm. Vol. 7 in half morocco, cloth boards, a little rubbed; Vol. 8 in half cloth, marbled boards. Library stamps on titles. First Editions. Stern, whom Emilio Segrč considered "one of the major physicists of the century" (p. 138), developed Dunoyer's molecular beam method and used it to devise what is now known as the Stern-Gerlach experiment, which demonstrates the reality of space-quantization of atoms. This experiment had an enormous impact on modern physics, and has become a paradigm of quantum measurement. Spatial quantization had been introduced as a theoretical concept by Sommerfeld in 1916, but no one before Stern had ever demonstrated its existence, and some quantum physicists even considered it to be nothing more than a mathematical tool. In his 1921 paper, Stern proposed an empirical test: "If an electron in an atom carried a magnetic moment of about 1 Bohr magneton (= eh/4 me), an atomic beam of silver atoms should split in passing through a magnetic field of strong inhomogeneity" (Twentieth Century Physics, p. 164). In the 1922 paper, written jointly with Walther Gerlach, Stern described the initial results of their experimental work. In three later papers (not included here) Stern and Gerlach continued their investigations, which provided direct experimental proof of directional [space-] quantization in a magnetic field. Dover Publications, Incorporated, 1949. Paperback. Good. Disclaimer:A copy that has been read, but remains in clean condition. All pages are intact, and the cover is intact. The spine may show signs of wear. Pages can include limited notes and highlighting, and the copy can include previous owner inscriptions. An ex-library book and may have standard library stamps and/or stickers. At ThriftBooks, our motto is: Read More, Spend Less.Dust jacket quality is not guaranteed. Dover Publications Inc., 1930. Paperback in good condition. The cover is lightly marked, sunned and edgeworn, with a small amount of pen by the front upper edge. The rear of the cover has an abrasion (affecting text) and a crease to the upper leading corner. Slight nicks to a few of the page edges. The closing pages are creased in the upper leading corners. The binding is sound; all content is clear. Translated by Carl Eckart and Frank C. Hoyt. CM. Paperback. Good. Used. Souvenir Press, London, 1998. First Edition. Softcover. Very Good Condition. Illustrator: Illustrated. Preface by author and index. The text is illustrated with the occasional black and white line drawing. Illustrated paperback binding with yellow and white coloured titles to the front panel and yellow coloured titles to the backstrip. A history of concept of Infinity from ancient Greece, where the philosopher Zeno created his famous paradox of Achilles and the Tortoise (in relation to infinity); then on through the centuries from Aristotle to Stephen Hawking, who have advanced the knowledge and boundaries of physics and mathematics while wrestling with the paradox; while still not really understanding what infinity means. A little rubbing of the book edges and panels and light age toning of the text block edges. This is the first UK edition. Size: Trade Paperback. , IX - XII, , 224,  pages,. Please refer to accompanying picture (s). Illustrator: Illustrated. Quantity Available: 1. 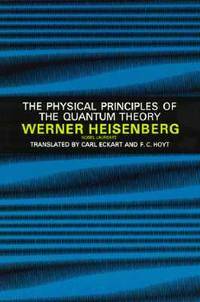 Category: Science & Technology; Quantum Physics; ISBN: 0285634429. ISBN/EAN: 9780285634428. Inventory No: 0125715. . 9780285634428 Post will be reduced to $7.90 for posting inside Australia, at the time of processing the order..
Turkey Run, 1960. Paperback. Staple-bound pamphlet; 15pp. Pencil date to sunned cover, pencil notes to pages, vertical crease to covers and pages, wear to spine, else very good.